I’ve had some questions asking more about what we do. The children’s home – The children’s home got started almost 10 years ago. We are a faith-based independent organization. 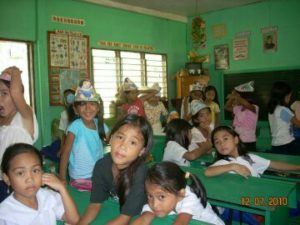 It first started helping a couple children of overseas foreign workers, OFW, these were children whose parents were working overseas and for various reasons, the support was irregular coming or used unwisely by the persons left to take care of them. 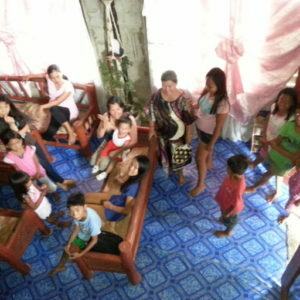 Over time, it has grown to now taking care of 25 children full-time and 6 part-time. 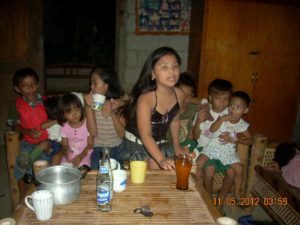 It is not an orphanage; these children stay with the parent that is there or the guardian that is taking care of them. For about 25 years, child development professionals and others like Feed the Children, have pointed out that the orphanage situation should be avoided if there are other alternatives that do not endanger the child. This is because it keeps the family identity clear and intact in the child’s mind. This is especially important when they are dealing with the issues of broken families where they might only see the absent parent/s one week a year or two weeks every two years, typically. We provide nutrition in the form of at least 1 full meal a day, nutritional supplements as needed, medical care and support, assistance with school supplies and needs, online tutoring when needed, and more recently, sexual trafficking intervention through the help of a police officer that is an occasional volunteer. The children’s home is the result of the general lack of jobs in the area that will allow families to have an income that they can support a family. This is why one or both of the parents work either overseas or in some cases in Manila, Cebu, or another large city and send money home to support not only their immediate family but also, often, parents and or brothers and sisters. This brings us to the next step that started just a little over 2 years ago with the guidance and help from the local pastors and leaders. That will be in tomorrow’s post.